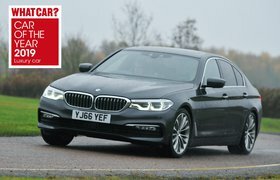 New BMW 530d vs Jaguar XF V6 Diesel | What Car? The cheaper 520d is our 2017 Car of the Year. Is this more powerful model as good? Fresh from collecting our 2017 Car of the Year award last week, the new BMW 5 Series faces another stern test of its credentials. We already know the entry-level 520d is the best 2.0-litre diesel luxury car you can buy, but what if you’re looking for a bit more oomph? Well, for a substantial but not obscene premium, the 530d packs a 3.0-litre engine with an extra couple of cylinders (six in total) to give it crushing pace combined with surprisingly reasonable running costs. It sounds very compelling, but if you’re looking for a fast diesel saloon, would the V6 diesel Jaguar XF be an even better buy? It costs about the same and has almost sports car-like handling to go with its potent engine, even if it can’t quite match its new German rival for fuel economy or CO2 emissions. £50,000 just about buys you a V6 diesel XF, whereas for slightly less cash you can have a 530d with optional four-wheel drive (xDrive), which is less of a handful than the standard rear-wheel-drive version in slippery conditions. This extra traction largely explains why the 5 Series was faster away from the mark in our tests. Plant your right foot and it surges to 30mph with no drama at all, whereas the rear-wheel-drive-only XF tends to spin its rear wheels as it struggles to transfer its power to the road – especially in the damp. Once you’re on the move, though, both saloons accelerate similarly briskly, so only a gentle squeeze of your right foot is needed to blast past slower-moving traffic. Chances are you’ll want your luxury car to pamper you rather than goading you to drive faster all the time. But when a snaking stretch of empty road does open up in front of you, the XF will definitely put the bigger smile on your face. Its steering is quick, precise and sends plenty of feel to your fingers, while the nose responds instantly to even the tiniest steering inputs. The 5 Series feels bigger and altogether more grown-up. It doesn’t react as eagerly when you turn the wheel – even if you add integral active steering (£995), a feature that allows the rear wheels to turn slightly to improve agility. The 5 Series never involves you in the experience of going round corners quite as well as the XF, but its steering is far from numb. 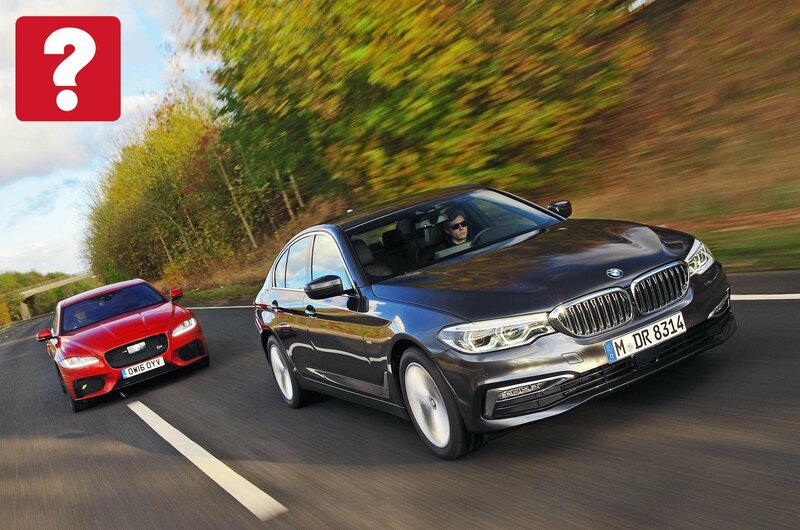 What’s more, the 5 Series can actually corner at faster speeds than the XF, because it grips the road better. It feels more planted at high speeds when going in a straight line, too, and isolates you far better from engine, wind and road noise. These are all things you’ll really appreciate if you do lots of motorway miles, because it means you’ll always arrive at your destination feeling more relaxed. 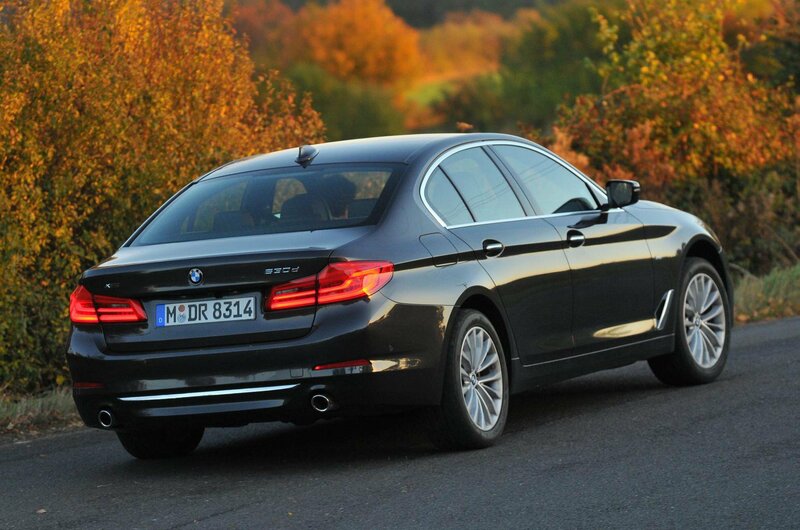 Ride comfort is arguably the most important trait of a luxury car, and the 5 Series doesn’t disappoint. True, our test car benefited from yet another option – £985 Variable Damper Control suspension – but with this, it rides the worst of British roads like it’s floating on a magic carpet, smothering potholes and staying beautifully controlled on the motorway. 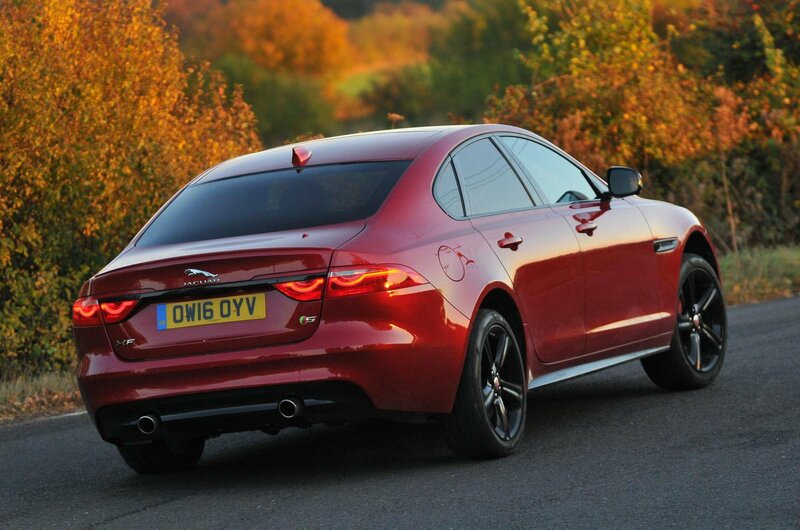 The XF is by no means uncomfortable, but you feel more of the bumps when driving over them, no matter what the speed.